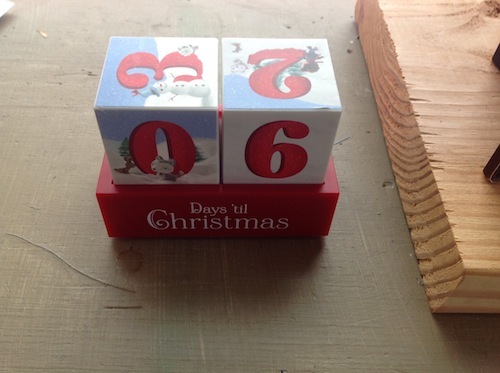 Each day, Griffin (9 years old) has taken great joy in setting the Countdown to Christmas cube calendar the kids recently received from my father and stepmother. On Thursday, I was doing my end-of-semester grading from home and noticed after he had left that he had neglected to set it on his way to catch the bus to school. So I did. My wife got Tabitha out the door later in the morning while I was at work in my basement office. Later, I noticed that Tabitha (6 years old) had modified it. Here I will pause to give readers a day or so to consider why. What might a 6-year-old have in mind that would cause her to remove the zero from in front of the six? I asked her about it later on and we had a lovely conversation. I’ll report on that soon. 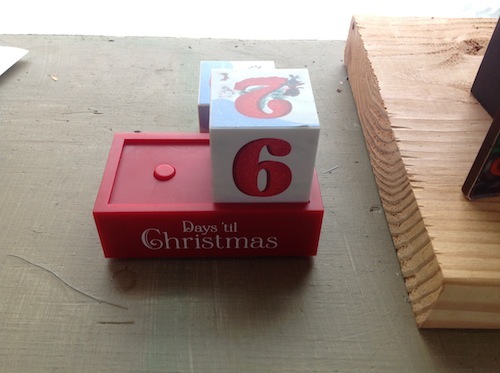 This entry was posted in Number and tagged 6 years old, number, place value, Tabitha, zero. Bookmark the permalink.